Hello guys, I have decided to step out of the old days and build a couple of Ford Fusions . My questions are: 1) What kit would I use to build a 2007 and a 2010 Fusion? 2) What mods are required to build these cars? I have no knowledge of these builds or where to start, so, any and all advice is appreciated. Thank you in advance. There are no “kits” to build either of those models of Fusion. 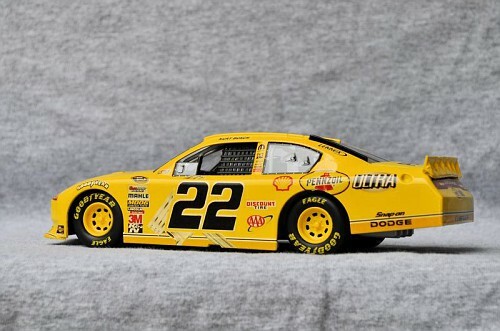 The 2007 model can be built with some modifications to the last Taurus kits available (Kenseth’s DeWalt was the only release, I think) Resin bodies are available for both years, but those require different techniques and doner chassis to complete. These were the days of common templates, so you can take a 2006 - 2007 Monte Carlo and convert it. For the 2010, you can use a COT Impala. In both cases it takes some reshaping of the nose and the rear passenger windows. For the 07 Fusion, you will have to extend the rear bumper out as well. Below is a Fusion converted from the Monte and a Dodge converted from the Impala. I have not converted a Ford from the Chevy COT. So, a newer Fusion kit (tweaking some details) would not work in this case? 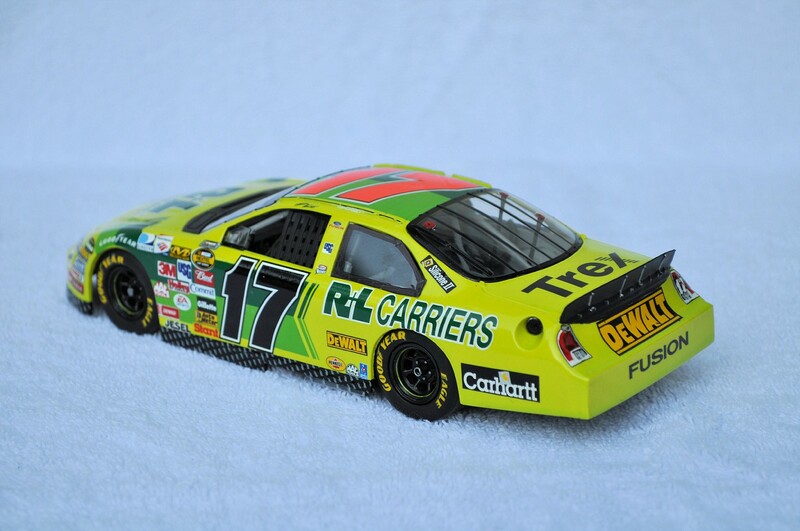 I have no issue with tweaking nose/rear bumper if these kits would work for these years. Like I said, I have no experience with these newer cars, just want to get a feel for what kind of work I'm getting into before spending the money. I haven't seen any resins that were available at this moment. Thank you again for the advice, I would like to have more details on what mods need done and maybe any close specs that need to be achieved when doing these mods. Thank you again. Btw Jim, you build some nice cars!! In all honesty, the amount of work needed to covert the 2016-18 Fusion( the new kit) to either 2007 or 2010 is going to take a lot of work if you want something that is close to accurate. 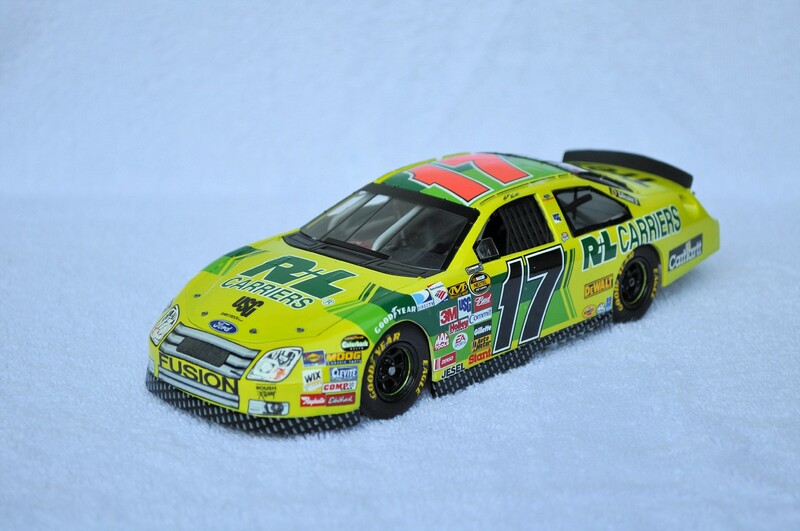 You are better just buying the diecast or the resin body and using the chassis. Okay, my buddy 18degrees(Dave) found some resins on SMH. What is the difference between the 2007's and 2010's body styles? And, what donor chassis work best with the Fusions/resins? Sorry to ask so many numb nut questions, but, I literally have no clue about these new cars . Again, any advice is appreciated. 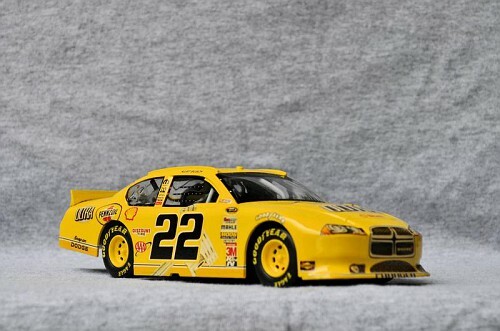 Dave, the difference in the body styles is that the 2007 car resembled the production car. The 2010 was the COT. As far as the donor kits for the chassis, my suggestion is to call or email Ronnie and see what he has to say. Thank you Jim. Would you happen to have Ronnie's email addy so I may contact him? I didn't see a phone number or email address on their website. Dave, it took me a few minutes, but I ended up switching to standard view from mobile view and it's actually on the home page.